Bayer Leverkusen vs Wolfsburg predictions for Sunday’s evening kick-off in the Bundesliga. Bayer Leverkusen’s managerial change of Roger Schmidt for interim coach Tayfun Korkut hasn’t payed dividends as of yet – Leverkusen are win-less in three across all competitions under Korkut (D1 L2). Repeating last season’s Champions League qualification is now out of the question with just 9 matches remaining and if Leverkusen fail to get a result this Sunday, even avoiding the relegation play-off would have to be a concern. Hamburger SV, who stand third from bottom, trail just four points behind them. Wolfsburg are another side sporting an interim coach, but Andries Jonker has made an immediate impact since taking over the reigns. Last weekend’s comfortable 1-0 win at home to Darmstadt makes it seven points in three matches under his guidance, but the Wolves aren’t out of the woods just yet. Wolfsburg’s 29 point total – one of their worst ever totals at this stage in the campaign – is equalled by three other sides (Bremen, Augsburg and Mainz), all of which stand just two points above Hamburg and the relegation play off spot. Leverkusen are the bookies’ favourites here at 4/5, but Wolfsburg “Double Chance” seems the much better value here at 21/20 for the following reasons: though Leverkusen have a very decent track record against Wolfsburg (see head-to-head), Wolfsburg look like a new team, brimming with confidence and energy, under Jonker. Meanwhile, Leverkusen have remained largely disappointing under coach Korkut, whose 31% win rate (W15 D11 L22) as manager for Hannover 96 in the Bundesliga a few years back doesn’t instill a lot of confidence. Coach Jonker is also unbeaten in eight games (W6 D2) as a Bundesliga coach (five with Bayern Munich and three with Wolfsburg), which is one of the best records in German top-flight history, and he seems to know how to get the best out of striker Mario Gomez (9 goals so far this season). Gomez has played in all eight matches Jonker has managed in the German top flight, scoring 12 goals (at least one in every match) in eight matches. Hence, Gomez is top odds to score anytime against the out-of-form Leverkusen at 15/8 with bet365. Meanwhile, Leverkusen’s own top scorer, Javier “Chicharito” Hernandez is without a goal in six competitive games for his club – in fact, he’s failed to score in 25 of his 33 matches over all competitions this season. Regarding a correct score bet, though more defensively solid, Wolfsburg are yet to score more than one goal per match under their new manager. Wolfsburg are likely to be content with a point against Leverkusen, who have only failed to score in 23% of home matches, so a 1-1 draw at 6/1 with bet365 seems about right here. Leverkusen won 2-1 away to Wolfsburg when the two sides met earlier this season. Of the 19 matches at home to Wolfsburg, Leverkusen have won 14, drawn 4 and lost just 1. Wolfsburg have a few concerns ahead of Friday: center back Jeffrey Bruma, left-back Ricardo Rodriguez, and winger Paul-Georges Ntep are all doubtful. Leverkusen have won just 38% of their matches at home this season. 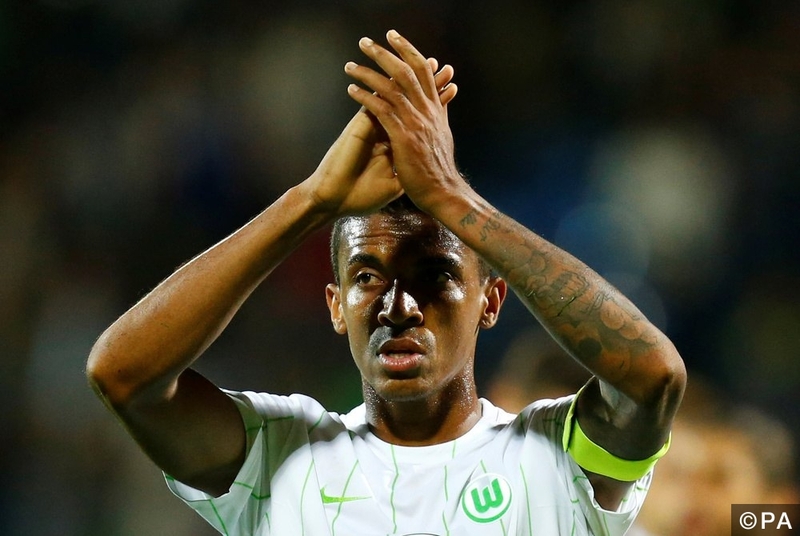 Wolfsburg have won or drawn in 58% of their away matches this season. Wolfsburg have drawn 1-1 in 17% of their away matches.